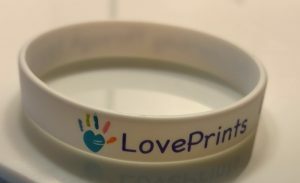 LovePrints. Bullying, and how love can beat it. Love in action. Action in love. Love out loud. The trending activity for our young people is not a good one. It is a fear and anger based action. It requires silence, inactivity, ignorance, and an obvious disconnect. It requires constantly choosing to not be present. It is an empty vacuum. It is a lack of light. It is a lack of vision. It is a lack of purpose. It is bullying. I know that this is not new. I know that bullying is as old has nature itself. I do not care if you call it, the thinning of the herd, the thickening of skin, the toughening of the clan, or any of the other thing, it happened before this generation, and will sadly happen in the next. Some of it is code speak for conquer now, consider later. Some of it is based on the idea that the weaker need to move out of the way of the stronger, faster, richer, smarter, and often, meaner. It is mental laziness. Here’s where I stand on this. As a parent, my forehead wrinkles up at any kid being bullied. If I was not present and my child is bullied, I would hope and pray that the young people involved have been covered in enough love to know that this is not love. It is my hope that at least one of them have some love to spare, some love to give, and some clue that whatever is going on is not a good thing. I hope that at least one other person present recognizes pain, seeks to end it, avoid it, or make it better. I hope. I pray. As an adult, I stand up, stand in, and am heard. I simply do not have it in me to stand silently and watch pain happen. I also refuse to put another thing in with the pain. It does not matter if it is an animal in pain, a child in pain, a woman in pain, or a brother in pain. If I can do something to make the situation better, I should do so. I would do so. In the age of grabbing a camera and hitting record as the pain happens, I am still in the family of standing up, speaking out, and ending the pain. That is what I hope. I pray. As a husband, I simply believe that my first task each day, and last task each day, is love. It is my mission and goal to keep the home pain free, especially by me. It is a daily choice to love out loud, action in love, and be love in action. That keeps it simple for me. A home should be pain free. It should be covered in love. When my wife leaves the house, she has enough love to carry her through her day until she returns home. She has enough love to add to any situation. When the day has drained her of love, LOVE LIVES HERE. That is what I hope. I pray. As a coach, I am tasked with covering other people’s young ones in love. How awesome is that? Pretty amazing, right? That is why I coach. I get to love more, and if I do it right, loved more. When I see a player in pain, I cover them in love. When there is an act out in pain, I cover them in love. 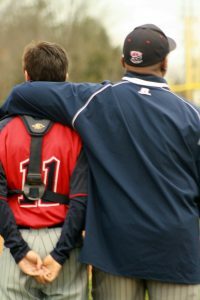 Every player that I have ever coach knows that I love them, and I hope that they love themselves as well. I make a point to have my players action in love away from the game. Away from the team. Away from their family. They should be covered in love, from within, and from those they share themselves with. I pray that they get so much love at home, at school, at practice and games, and in the neighborhood, they should have plenty to share with others. They should have enough to ease the pain of anyone around them. They should recognize love, and with that, are able to recognize the other when they see it, hear it, feel it. They should know that the right thing is to ease the other persons pain with an act of love. They should know that action can be a smile, a hug, and kind word, or just listening. I hope. I pray. I mention home, school, and neighborhood because if a love vacuum exists in any of those places, it needs to be filled by love from somewhere. Whether it’s a teacher, a faith leader, a mentor, a neighbor, or a coach, that vacuum can be filled with love so that nothing else can occupy it. This is how bullying can be defeated. Bullying can not live where love is. Love wins. Bullying is defeated. Did I say defeated? That’s the coach in me. When confronted with an opponent, I plan to defeat it. I find its weakness, and capitalize. I try to understand its strength, and find a way to make that a weakness. I try to know why the opponent is being successful and strip them of it. That’s how my brain and heart works. I know where bullying starts. It can be at home, where pain can be louder than love. It can be in the words and actions of the adults that live there. It can be on the school bus, at the school. In the hallways, in the classrooms, in the locker rooms, or in hallways where no one is watching. No one is there who can act in love. It can be on social media. It can be the words that they read by adults who say that its ok to berate, its ok to be mean, its ok to gang up by power in numbers. It can be in the private text messages, group chats, or face to face when no one else is around. It requires a disconnect. It requires darkness. It requires forgetting that love is why. Love has to be why. What I know is that love and fear cannot occupy the same space. Where love is, fear can not be. Where love is, hate can not be. Fear is a lie, and a prison. The strength required to love is experiencing it, knowing what it looks like, feels like, and sounds like. We know what love is, and what it is not. Given a choice of love and the other, most, most, would choose to be love. If they are aware of it, how great it feels, how powerful it is, and how it multiplies, it will be the constant and consistent choice. Mind your words, your actions, and your heart. Make sure that the message that you are handing to your young people is one of love. Allow young people to stay connected to you. If connected, when a young person goes off course, the connection pulls at you and says “I am going left, help me.” If connected, we know natural movements, good movements, and the other. Be the place where love lives. Be constantly in action of love. Be constantly love in action. Cover your young people so much in love that nothing else can stick. That’s how we will make fewer bullies, young and old. Love. Out loud. I hope that we do. I pray. Older PostSometimes, the ball field is a classroom. Who are we?